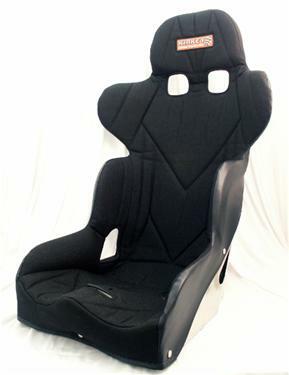 Our Intermediate Road Race Layback seat is designed especially for entry level road course cars. It has the same quality construction as our Deluxe seat at an affordable price. This seat is very comfortable making it ideal for endurance events. Constructed from TIG welded .125" thick 5052 grade aluminum. MIG welded inside for added strength. A true road race design with built in shoulder support. Aluminum extrusion around perimeter for extra strength and safety. Machined edges eliminate rubber molding on seat belt holes. 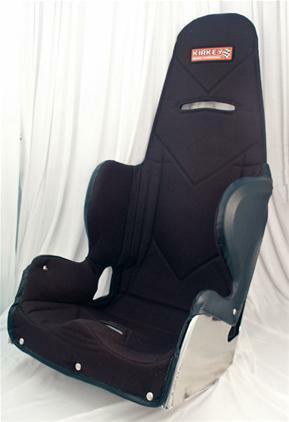 Entire seat is padded with high density foam for extra comfort and support. Contoured head rest is designed to cup helmet. Extra support at rib height provides support for high G force cornering but is designed to not interfere with shifting.